To be honest, the documentary of Demi Lovato on youtube sparked this topic for me. I consistently say, this and believe this; there is absolutely no perfect person in this world. 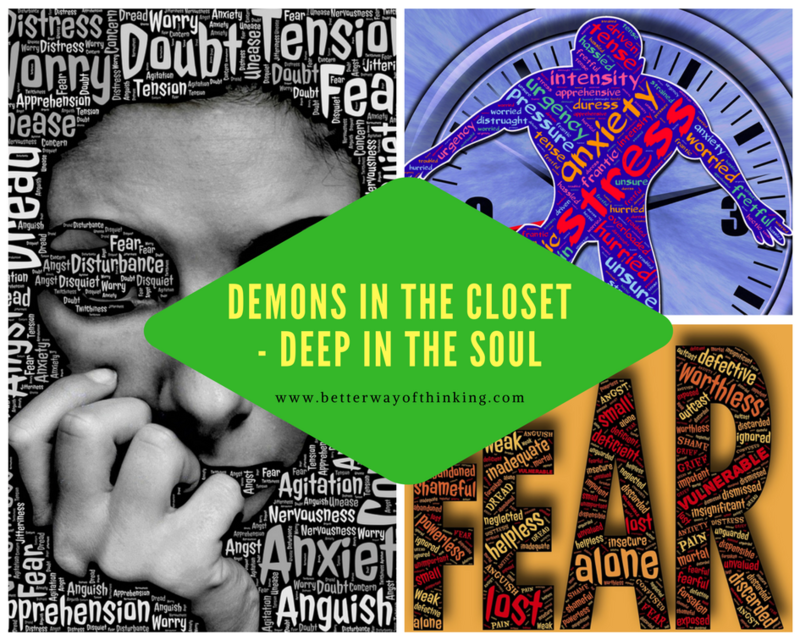 We all have demons in the closet that haunt us. We all have something in our past that has to lead us to live our lives differently. If you feel like you’re a person with a perfect life, I think you may need to be more in tune with your emotions. More… let’s say, honest with yourself. We all have something sitting inside of us that has hurt us. Maybe you have gotten over it; perhaps you haven’t it. But, whatever it is, it helps mold us into the person we are. How we respond to what hurts us, helps identify how we will live our life. It can drive you to be better, or it can make you bitter. If you share your story, you never KNOW how you could help someone else and relate to someone else. If you judged everyone on their past, and never gave second chances, you could lose out on some of the most profound relationships in your life. Life is trial and error. What is working for someone else, may not work for you. Your traumas should not overtake your life. Life is about navigating those quirks and finding a way to overcome them. Once you do, you gain your power. Someone can look and appear happy on the outside but be DYING on the inside. I mean look at Robin Williams, to the world he was HAPPY. For crying out loud he was a comedian, and his job was to make OTHERS HAPPY. But, all along he was unhappy on the inside ultimately taking his own life. I encourage everyone to own their demons. Find ways to cope with them. Seek help, and don’t be ashamed of them. RICH, POOR, MIDDLE CLASS, we ALL have SOMETHING. Your authentic self could HONESTLY save someone else. I feel if you’re not honest with your battles, they will lead you to live a life which is less of your potential. You’ll walk this earth a facade of the person you could be. On the outside, you wouldn’t know I have some challenges. I’m learning how to own them. I realize they may be silly or stupid to some. But, they are a part of me and my journey. I always was afraid to share for fear of judgment. Or fear of understanding. I have found the more you CARE about what people think, the more TORMENTED you become. When you wake up and own WHAT makes you, you, that’s the day you begin living. Not every day is easy, but ultimately it is more than worth it. Here are just a few of my demons in the closet and daily I have to cope. 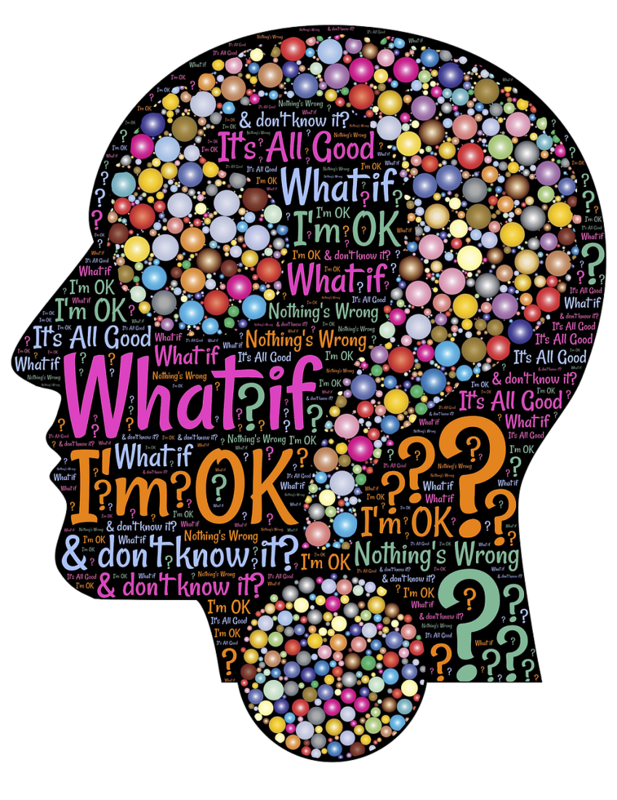 ANXIETY – I never really knew I had such a thing. It’s come into perspective when I got married. I am with a partner who doesn’t suffer from anxiety. When I have my SPELLS, he gets anxious and tells me all the time how he doesn’t understand, and he hates to see me freak out. In me, it takes form in over thinking when my mind has too much time to rest. But, I overthink, and too HARD. Like to the point you make yourself sick to the stomach. I think hypotheticals all day long, and replay every turn of a situation. That’s why I THROW myself into work or working out because, in these moments, I have no CHOICE but to focus and concentrate on set goals and time frames. I don’t have time to think about anything but the task. My mind can’t wander. I like it this way. Having control of my mind is a daily task, but I manage it through recognizing I’m starting to feel anxiety. I take a few deep breaths and just try to calm myself down. If I am able, I will go exercise or work, and its HELPS immensely. When I don’t control it, it can manifest physically into PANIC attacks. If you are like me and have ever had one, they are not fun and terrifying. For me the symptoms are numbness in my hands, feet and face. The inability to breath or eat. Shaking, uncontrollable body tremors. Also, most of the time uncontrollable sobbing because I can’t get the symptoms to stop. TYPICAL DAY THOUGHTS (when I don’t have anything to do)- What time am I going to wake up? What am I going to wear running? I want to run three miles. What if I hurt myself on the run? What if I can’t make it? Should I take the dog? Is it too far for him to run? He doesn’t have anything to do either though, and now I feel guilty. What if I fall and I have no one around to help me? My husband comes home, and he immediately falls asleep. I think to myself is he mad at me? Did I do something wrong? Am I not being a good wife? Did he not like the food I cooked for him? Is the house not clean enough? What am I going to cook for dinner? Is he going to want the meal I prepare? What if he doesn’t? Do I have a backup option? ^^^^^ You get the point, and it’s SILLY that I can think all of this in one day, but I honestly can. And most of the time what I think really in the end has no bearing on the day. 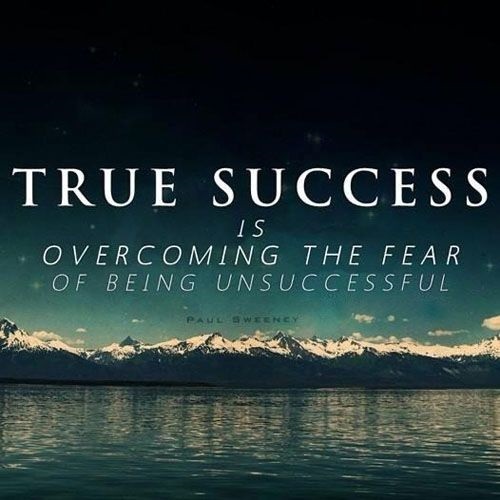 FEAR OF FAILING – I am getting much better at this. But, for so incredibly long, I wouldn’t even try something because I was afraid to fail. Or I would commit to something, and the day of, the night before, or even a minute before, I would think of some reason why it wasn’t possible to do whatever I had wanted. I always feared what people would think of me. I also still compared myself to others. So, to me, FAILING is not being the best at something. Not even thinking to myself that it’s okay to NOT be the BEST at something. More practice makes you better at anything if you want to be the best. Not to mention trying makes you feel accomplished. Some of our failures drive us to become better. You know what it feels like to be at the BOTTOM, so you learn, and PUSH yourself to the TOP. I no longer want to capsulate myself in a bubble of things I know I can do. I want to have first experiences and do something new. DEATH – since I lost my father at such a young age (6). And… I also don’t know how he died; death freaks me out. I find myself thinking about it more than I should. I think … How am I going to pass? Is it going to hurt me? Will I be old? Will I be young? How will my loved ones take it? How will my loved one pass? Will they hurt? Will I be able to overcome it? Because I have lost my father, and other significant loved ones unexpectedly, I think it caused me to identify with death at a young age. I understand it is a part of LIFE, but it scares me. At the same time, as an adult, I have learned to LIVE in the moment. To let that go. It’s going to happen to me, and my loved ones. And, I can’t control how our makers have outlined this part of our lives. For now, I just have to LIVE life. 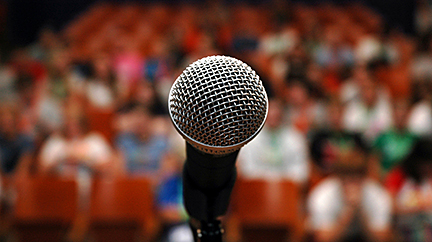 SPEAKING IN FRONT OF A CROWD/ NOT BEING LIKED– I was naturally a shy person growing up. At least until you approached me, once you got to know me, it was GAME over. I’m typically an observer. After I watch your actions, then I’ll determine if I want you to speak with you. As a teenager, my mother made a sheet that identified how many times I talked in class, and what I said. The teacher had to sign off on it when I was in high school. She intended to make me feel comfortable speaking in front of a crowd. Although, I am not sure that it helped. STRANGERS – This is semi-embarrassing for me. But, this is true. I know as a child your always taught STANGER DANGER. Never really thought that would translate into my adult life, but it has. I remember walking home from school one time and was carrying my clarinet box, and books, everything pretty heavy. At this time I was in middle school. I’m walking, and an elderly man with a cane was in front of me approaching me. As I got closer to him, he wouldn’t move. He walked in front of me, preventing my pathway. It FREAKED me out, and I had a bit of fear in my stomach. I also realized the man didn’t really NEED his cane. As soon as I cleared him, I BOOKED running. I have no idea what that man’s intentions were, but it SCARED me. I don’t think that experience or me watching true-life murder mysteries helped me with this fear at all. But honestly they intrigue me because these people get to know through evidence what happened to their loved one, and I too hope one day I will know what indeed happened to my father. At the same time watching these shows religiously, makes me realize how truly tainted some individuals are. Also, the news is always blasting some human doing inhumane acts of violence. As a woman, I am more fearful. I’ve got strong legs, but I don’t think I could ever overpower a really strong person woman/ or male. Sexual predators are always lurking. You JUST never know someone’s intentions. To combat this, I try to be VERY aware of my surroundings. I have mace on my keychain. I also am going to take a self-defense class, just in case. Although Coach (my dog) is a pansy, I know should ever someone want to harm me he would BUCK up fast to protect me. In the face of fear I also know adrenaline can make your body do some pretty amazing things. Strangers are here, but not all of them are BAD, this I know. We all start as strangers before we become friends. SPACE – the whole idea of it SIMPLY just freaks me out. It’s the unknown of it all. It freaks me out. To think of all the planets and to think we are one. Could another planet’s life forms inhabit another? To think could the world end? Just the whole thing is eerie. Quite simply, I know it scares me, so I just don’t think about it. I know this one is really off the wall and abnormal. But, this is truly something that bothers me. And, for that, I will own it. INABILITY TO HAVE CHILDREN – we have been trying for years. I think to myself, what if I can’t? How am I going to fill that void of not being able to have one? How will I fill that void in my husband? And, lastly, he deserves to have someone where he can see his DNA in something that he created. I know we are trying and will do all we can to have a baby, but the possibility remains it may not happen. I have learned to rely on faith and timing. If we don’t, I know he loves me anyway. And, I am still a woman. If we can’t, we will travel every inch of this earth. Work with children and possibly adopt. The opportunities are endless. And, thank GOD for modern medicine. ILLNESS: ESPECIALLY OF THE MIND– I have elders in my family experiencing some challenging mental illness. Paranoia is one of them along with dementia. To see someone lose their independence that so badly wants it, is quite frankly, HEARTBEARKING. Especially when it’s a woman who to this point in their life has been incredibly strong. When I work, I have an excellent memory. But at home, I forget little things and have post-it notes all around my house. I always say that it’s because my mind is overworked, and by the time I get home I forget. Lately, though, I have been thinking, is this a SIGN, am I going to go through this. I don’t want to see my loved ones, or myself forget who we are, what makes us love, and lose our sense of reality. All I can do is rely on the professionals, do research, and LEARN. Don’t jump to conclusions and live life for NOW. As you can see I have a lot of things on the inside, demons in the closet. I am much more than what you see with your eye on the outside. These are only SOME of things that have bothered me in my past or my present. But, if I can find ways to cope, so can you. 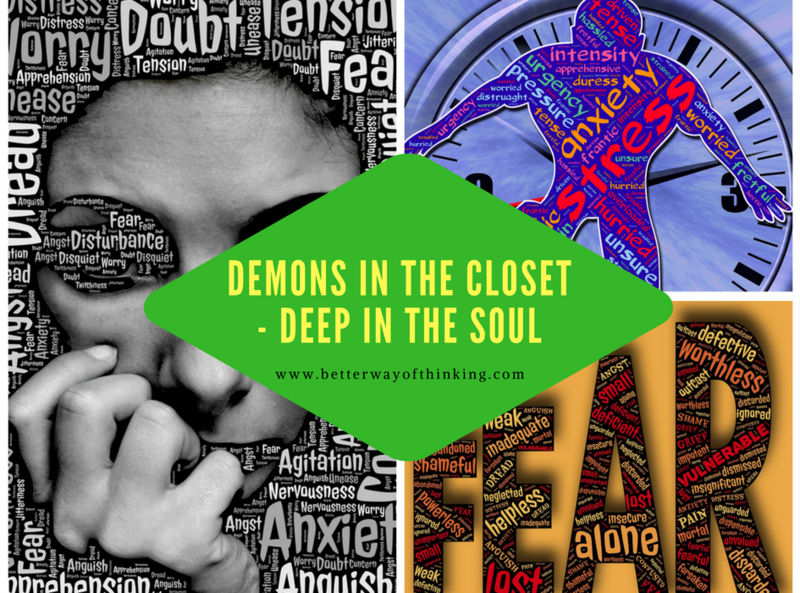 Don’t be ashamed of demons in the closet. Own your own identity. Make changes and embrace who you are. Learn other people’s stories. Go to therapy and find ways that you know make your daily struggles easier on you. I’m telling you the day you wake up and OWN them is the day LIFE will really begin. You’ll never feel again like you have the WEIGHT of the WORLD on your SHOULDERS again. Go out there, embrace you and this life. WE ALL ONLY GET ONE SHOT. Maybe something I said has touched you. Maybe something you share will affect someone else. If we could all just touch one person, just think about how much more positive this world could be. For more suggestions on how to de-stress or cope with anxiety check out this post. LIVE LIFE, LOVE LIFE, FACE LIFE. Your insight and discussion on this topic is refreshing. As you have said, we must each recognize our weakness and stop hiding. Further, we need to work on our issues, which will help us not judge others as harshly. The very nature of being human means that none of us is perfect. Thanks for sharing! Very best essays ghostwriter for work with web Voluntary Motion Orkney Have the Optimum Essay Crafting Provider in United kingdom United states of america Australia and plenty of other Nations In this article You. Notably with the context of less costly essay producing products and services | It provides to brain a picture of the terribly published essay that is certainly nowhere close to near the regular your really want. Inexpensive essay producing from the legit Australian tailor made creating support, offers you spectacular creating high-quality and using the web help.